Also known as House Arrest or Home Detention, home monitoring can impose as a sentence, as a term of probation, or even while a criminal case is pending. House arrest is a great alternative for both the government and the DUI offender. The cost to the state that usually accompanies incarceration avoided and the offender allowed to serve out their sentence at home instead of behind bars. Another benefit about house arrest is that you may still continue to work or go to school while serving out your sentence. There are two kinds of house arrest - home monitoring and electronic home monitoring. The use and availability of them varies from state to state and even city to city. Be sure to check your local laws. With regular home monitoring, a curfew imposed at which time a phone call must be made to confirm that the offender is home. Random phone checks or visits from a court appointed person may also be made to ensure proper compliance with the house arrest terms. Any violation will result in additional penalties or replacement of your house arrest with jail. The electronic home monitoring system is a small tracking device that is usually worn around the ankle or wrist. A base unit located in the home detects and records signals that transmitted from the bracelet. When the bracelet is out of range, the base unit knows. Most house arrest terms require the offender to be home by a certain curfew. Random telephone checks or breath testing may also required. Failure to comply with the terms of your house arrest may result in additional penalties. Any violation or attempt to tamper with the device, recorded and sent to authorities. House arrest is often better than jail. It allows offenders to serve out their sentence from the comfort of their own home. A regular work schedule is also permitted. Extra time given to allow for doctor's appointments, grocery shopping, or attendance of alcohol abuse meetings. The electronic monitoring device is small and strapped to the ankle 24/7. Not removable and tamper proof. Any attempt to do so, easily detected and sent to authorities. The device is small enough to fit discretely under a pant leg, and is water resistant. Some house arrest sentences also require breath samples given to detect the presence of alcohol. To prevent fraud, a photograph taken while a sample being provided. In some states, electronic home monitoring is in the form of a SCRAM device. A SCRAM device checks alcohol blood levels randomly. If at any time a DUI offender violates the terms of probation, your house arrest privileges revoked and your returned to jail. 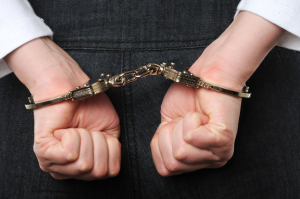 State laws on when and how house arrest offered in DUI cases differ dramatically. For example, some states only use house arrest with repeat offenders. Check with your local laws or contact an experienced attorney in your state, city, or county for more information on house arrest and if it will be available to you.